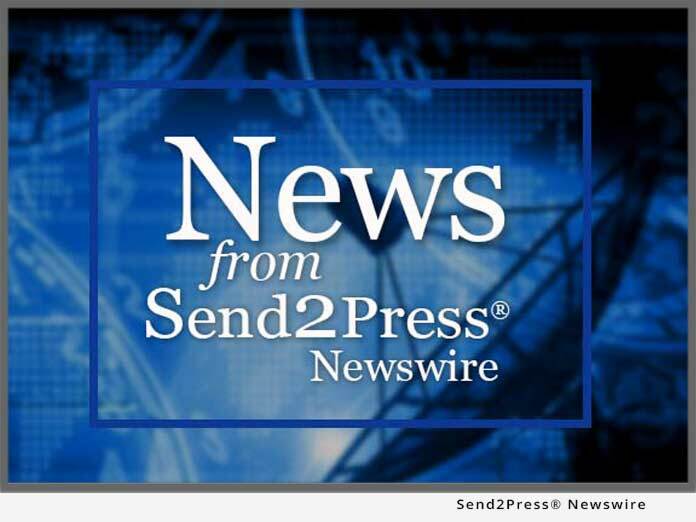 VENICE, Calif. – Oct. 2 (SEND2PRESS NEWSWIRE) — Early this year master coffee roaster Richard Karno decided to nano-package his organic liquid extract, called Java Juice(R). Since then the product has gone from obscurity to must have mechanism in multi- markets. Java Juice(R) is garnering raves from marketing authorities including trend analyst, Faith Popcorn. Expedition guru Ryan Jordan, creator of outdoor website Backbackinglight.com and similar sites get constant requests for the extract from cross-country skiers and rock climbers. It is also carried at trusted travel retailers such as Magellan’s and Adventure -16 and Peregrine Outfitters, and LL Bean will feature Java Juice(R) in its spring catalogue. Travelers are discovering just how easy it is being Green. Currently organic and KSA kosher certified, the company plans to add Carbon Neutral to its resume. The flexible barrier packets keep out light and oxygen, which can degrade coffee taste. Java Juice(R) Inc. now stands alongside established hydration and energy drinks. Freshness is key. Unlike spray dried coffees, Java Juice(R) is a fresh, or ‘live’ product. “Until now, portable organic extract of this quality did not exist,” explains Karno who is CEO of Groundwork Coffee, Los Angeles’ largest roaster of organic coffees. As founder of Java Juice(R) Inc. Karno is committed to all progressive coffee standards. This includes sourcing beans from fairly traded, shade-grown, certified organic coffee beans. To this end, Karno hired Aleco Chigounis, the first certified C-Cupper in the United States to source green beans for both companies. Java Juice(R) extract is carried at all Los Angeles Groundwork cafes. LA Times calls Groundwork Coffee’s Black Gold blend, “a delicious, medium-weight blend with floral aromas and spicy flavors.” The same proprietory blend is found in the extract, Java Juice(R). Anti-oxidant rich it is considered a nutraceutical and made with triple filtered water. Java Juice(R) is made in the USA. The packets have a PSI rating of 190 pounds rendering them virtually un-crushable in travel bags. Environmentally and economically sustainable, Java Juice(R) satisfies “Leave No Trace” criteria for light packers on the trail or in luxury hotels. Attendees will sample the brew from 100% biodegradable cups at this October Natural Products Expo in Baltimore, MD. “Don’t leave civilization without it!” says sponsored ultra-endurance athletes including Paul Romero from Team Sole of this years’ Primal Quest. Packets yield a cup of hot or iced-coffee, depending on personal taste. With the caffeine equivalent to a double-shot of espresso consumers may use Java Juice(R) with pre-heated liquids. The extract is also used to make blended mocha drinks at Groundwork locations. The Food Network’s TV show Unwrapped will launch next season with a segment giving viewers an under the hood look at Java Juice(R) production. “Save time and with energy espresso, when Java Juice(R) is ABC! Already Brewed Coffee,” trilled private chef Beriau Picard. “After years of development,” Karno said, “we were ready to package Java Juice for on-the-go environmentalists, but who knew if there would be real a need?” It appears that there is. The company now has wide distribution, often in regions devoted to conservation. Cause-driven, on-demand coffee has arrived. Java Juice(R) is available and affordable to culinary adventurers in urban kitchens and wilderness alike. Java Juice(R) Inc., 671 Rose Avenue, Venice, CA 90291. Toll Free 866.244.3633 P. 310.314.2693 F. 310-396-6420. Original Keywords: Java Juice Inc, organic liquid coffee extract, trend analyst Faith Popcorn, Expedition guru Ryan Jordan, hydration and energy drinks, javajuice, Natural Products Expo, on-demand coffee, Arlene Karno, Food Network’s TV show Unwrapped Java Juice, Inc.
REFERENCES: California Business News, Java Juice Inc, organic liquid coffee extract, trend analyst Faith Popcorn, Expedition guru Ryan Jordan, hydration and energy drinks, javajuice, Natural Products Expo, on-demand coffee, Arlene Karno, Food Network's TV show Unwrapped Java Juice, Inc.